A Jewish man was assaulted in the third unprovoked incident in Crown Heights in just two weeks. According to the NYPD, the assault occurred around on Wednesday morning at 8:00AM on Kingston Avenue near Union Street. The suspect, described as a black male, punched the Jewish man in his chest without any provocation, before fleeing the scene. The man was not seriously injured, and the NYPD’s Hate Crimes task Force is investigating. On Saturday night Jan 12th, a 19 Jewish man was assaulted by a group of teenagers as he walked on Empire Boulevard. 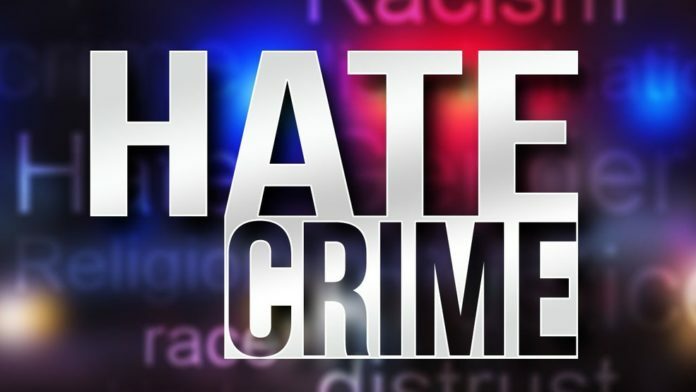 The 19 year old man told police he was walking past the laundromat at 829 Empire Boulevard near Schenectady Avenue at approximately 9:00 pm, when he passed a group of African American males. The teenager then began to punch the victim in the face and knocked him to the ground. The victim was transported to the hospital with minor injuries to his face and head. On Thursday Jan 3rd, a woman was punched in the face in an unprovoked assault. The woman was left stunned, and transported to the hospital with minor facial injuries. The assault happened around 3:00pm on Crown Street, between Troy and Schenectady Ave. This is all Trump’s fault. Hes racist tweets and rhetoric is fueling all this hate. the Jews should renew the approach that gave them quiet for years which was having a person who looked defenseless walk and a van with some tough Jews following near by. When the attacker attacks the tough Jews jump out of the van and beat the sh!t out of the attacker and leave him on the sidewalk with some broken bones for the police to pick up…..